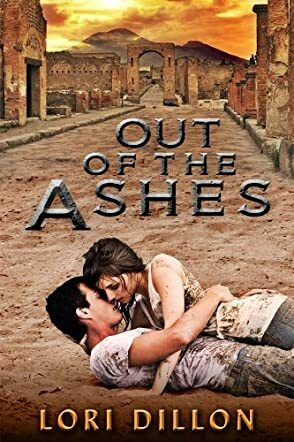 "Out of the Ashes" by Lori Dillon is a wonderful combination of romance and history with a dash of the paranormal for good measure. It is one of those books you can’t put down. It is a simple yet clever story of love through time. Due to Marsha and Hershel, two bungling yet likeable angels who enjoy bingo, Male 2028 and Female 5293 don’t get to enjoy the loving life together they are meant to have. Their first reincarnations are as Dacian the gladiator and Sabina the well-born politician’s niece in Pompeii in AD79. Ironically, the erupting volcano both frees the pair of them from their restricted lifestyles, yet entombs them in each other’s arms. Nothing daunted, the angels try again but there are other slip-ups. They have a final chance in war-torn Italy in 1943 with Serafina, the archaeologist, and David Corbin, working for the Allies. Surely they’ll get it right this time, won’t they? Shadows of the past play a helping hand. This is a delightfully fresh and entertaining yet poignant tale. The characters are so real and alive. Nothing seems contrived. The action unfolds at a good pace, with pauses at the sadder moments. Division becomes a strong motif in the book. People are divided from each other by social class, nationality, circumstance and politics. The world is divided by wars. Yet there is a way the divisions can be overcome, but it is not easy, even if Senior Guardian Angel Smithers is on the case!